Image by Camera Press Ltd.
Wystan Hugh Auden (1907-1973) is one of the most influential voices in 20th Century poetry. 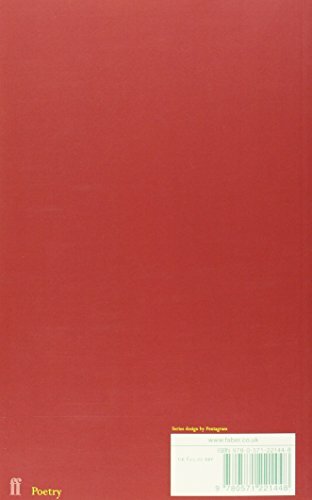 It is impossible to summarise his achievements, ranging as they do across some four hundred poems in a bewildering variety of styles, as well as drama, essays, libretti, travel writing and critical works. Conventionally, though, his life is seen as being split into two distinct phases, English and American. Born in York to a physician father and missionary nurse mother, his early years laid the foundation for his lifelong engagement with science, psychoanalysis and Christianity, the Auden household being strongly Anglo-Catholic. After boarding school, he studied at Christ Church College, Oxford University, where he made important friendships with other left-leaning poets, including Stephen Spender, Cecil Day-Lewis and Louis MacNeice, who also soon became his poetic allies, although they never formed the tight-knit group of popular imagination. As the 1930s darkened towards war, Auden came to be seen as the leading spokesman of his generation, a political writer warning against the dangers of totalitarianism. Whilst his socialism and distrust of nationalism during this period was strong, influenced in particular by his experience of the Spanish Civil War, his social views were always more complex than the labels he was given. In January 1939 he left England for New York in the company of Christopher Isherwood who had become his literary mentor, collaborator and lover. Their emigration on the brink of war was construed, both at the time and subsequently, as a betrayal and for a long time affected Auden's reputation in the UK. In fact they had been planning to leave for a while, partly prompted by fears that their relationship would be exposed, rather than through any desire to avoid fighting. In fact Auden tried to join up but was turned down by the US Army because of his sexual orientation. However, he did visit the devastated cities of Germany with the US Strategic Bombing Survey, an experience that affected his post-war work as his visit to Spain had his pre-war work. By this point, Auden had formed a relationship with a young American poet, Chester Kallman, who remained his lifelong companion and in 1946 Auden became a naturalized US citizen. In the years that followed Auden re-converted to Christianity which became an important theme in his poetry. He continued to make his living from teaching, writing and giving lectures and readings, establishing a regular pattern of wintering in America and spending the summers in Europe, at first in Italy and later Austria. He died in Vienna in 1973 and is buried in Kirchstetten, the village where he had shed tears at owning his first home. The restlessness of Auden's life is reflected in his poetic output. A virtuoso in respect of form, he utilised every stanza pattern imaginable, from ballads through haikus, sonnets and villanelles, from short lyrics to book-length meditations. The tone and content of his work is equally diverse as he sought different ways of understanding the individual's life in relation to society and the human condition in general. However, perhaps his most influential tone is that of the detached, ironic observer, a discursive style that could accommodate the language of prose and the concerns of science. His Archive-featured recordings offer a glimpse of this diversity. 'One Evening' appeared in his celebrated collection of 1940, Another Time. 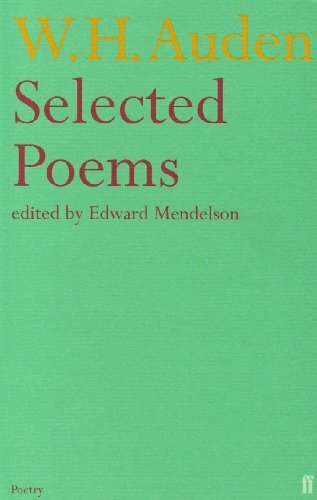 Written in ballad metre, Auden describes it in his introduction as "a simple lyric". On one level this is true, its song-like quality and nursery-rhyme imagery connecting it to ancient popular tradition. 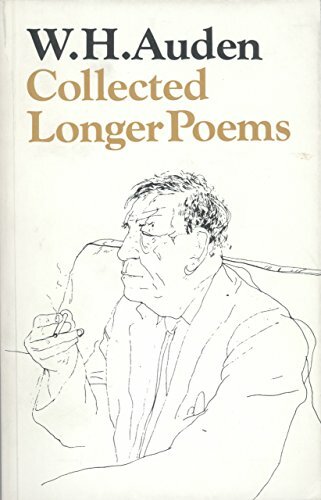 However, Auden uses this guise to muse on the fragility and transience of personal love, shifting the tone from light-hearted nonsense to a disturbing sense of mortality. 'The Shield of Achilles' from his National Book Award-winning collection of the same name (1955), shows Auden on more overtly political form. The poem is based on a classical device, ekphrasis, that is a vivid description of a single object, in this case the shield made by the smith-god, Hephaestos, for the great warrior Achilles. In Auden's version the peaceful scenes of cultivation depicted on the shield as described by Homer have been transformed into the nightmarish landscapes of war. Finally, 'The Fall of Rome', recorded on the occasion of Auden's 65th birthday, touches on similar territory, using classical history as a means of illuminating the present. The 'Rome' of this poem could be any western city declining into corruption, the strong sense of doom counterpointed by the disinterest of the natural world. Auden's characteristic reading style is demonstrated here in his low-key delivery, reflecting his hatred of anything that smacked of sonorous rhetoric. Also apparent is the curious accent Auden developed, the flattened American "a" at odds with his otherwise classically English tones. However, what remains uppermost in the listener's mind is Auden's rigorous restraint, both in the text and his speaking of it. 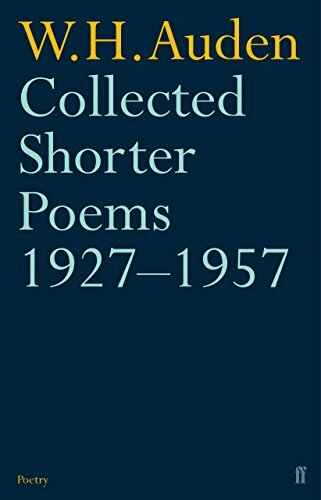 Although he never wished to be seen as a spokesman his over-arching achievement is ever-more apparent: he remains one of the few voices with whom all subsequent poets have to converse. The recordings all come from the BBC archives. Visit W.H. Auden's page on the BBC site. W.H. Auden recordings, Woodberry Poetry Room. W.H. Auden recordings, Woodberry Poetry Room, Harvard.